Roger is a folding sofa with quilt cover; you only have to pull the seat towards yourself to obtain a, double, single, XL single, French, or twin bed. Roger is a folding sofa with quilt cover that wraps the entire structure, and it can also be used as a quilt for the bed. This sofa bed can be opened in a fast and easy way: to unfold bed base and mattress you only have to unhook the wooden rings, and pull the sofa seat towards yourself. This folding sofa is the perfect solution to furnish small environments, vacation homes, or guest rooms. Its high resilience expanded polyurethane provides a great comfort and guarantees a long life-span, even if used sporadically. Roger by Milano Bedding is available as armchair convertible into a single bed, or as sofa bed in several dimensions, that become XL single, French, double, or twin beds. 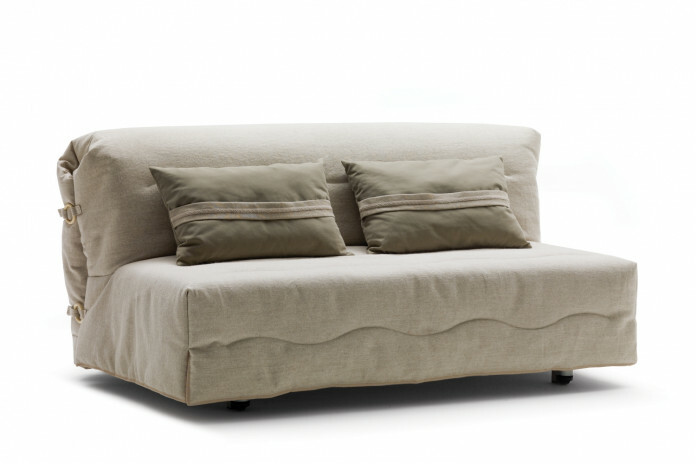 All the versions of this sliding sofa bed can be equipped with a headboard covered in fabric. Roger can be equipped with a rigid backrest covered in fabric (removable). Once the mattress is open, it becomes the bed headboard. The quilted fabric cover is available in all the colours displayed in the material samples page, and is completely removable and dry-washable. The backrest (optional) is available matching or contrasting the sofa, in all the colours belonging to the same category chosen for its cover. 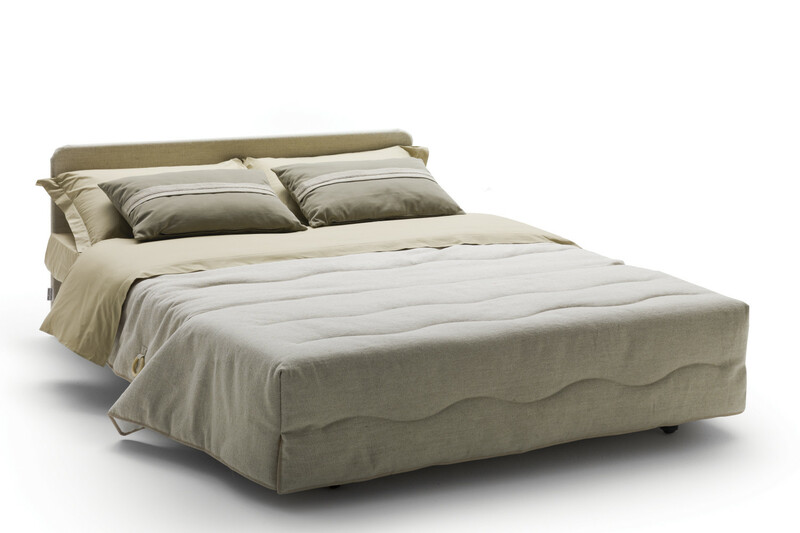 The folding bed can be completed with a pair of cm 65 x 35 decorative lumbar cushions. Mechanism: high resistance furniture tube, oven coated with epoxy powders. Additional support frame under the seat. Orthopaedic bed base. Mechanism opening and closing in one time. 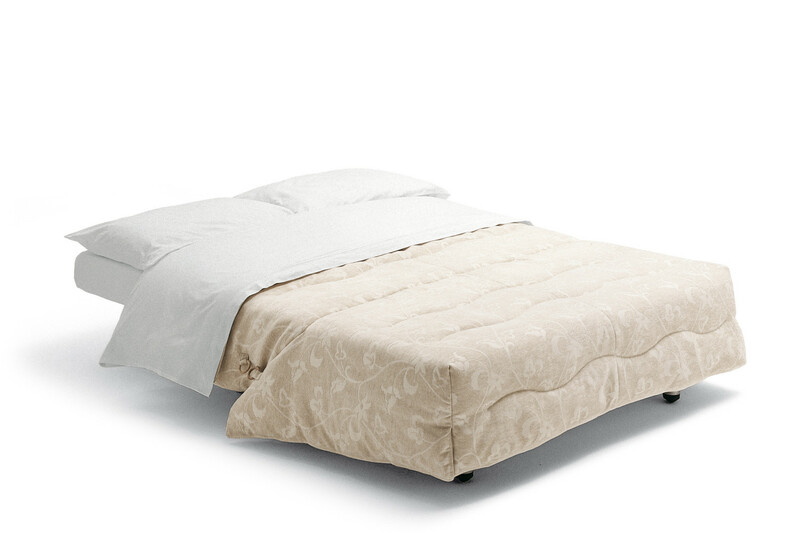 Mattress: 25 kg/m³ resilient polyurethane foam, covered with 100% cotton fabric, and quilted with 100% 100 g/m² resin polyester wadding. 2,5 mm 3-layeder interliner. Bed Base: curved steamed beech plywood slats. 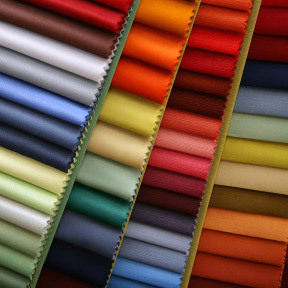 300 gr/m² silicone polyester wadding.. 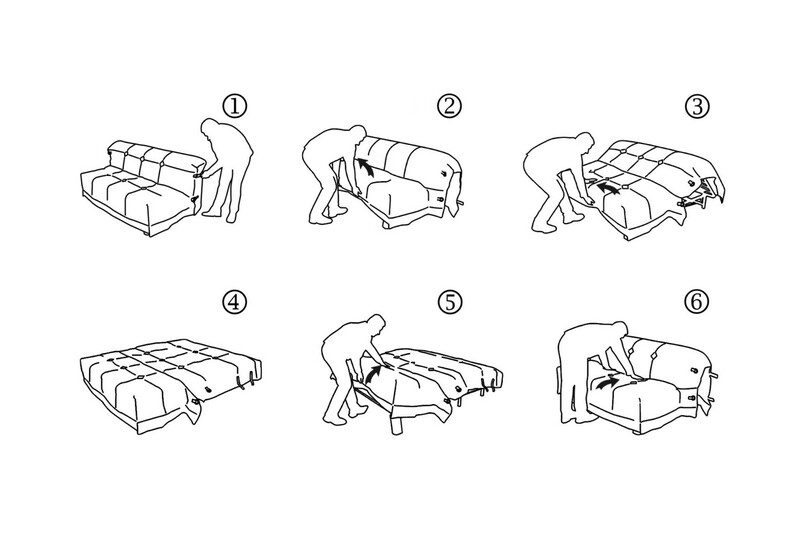 Tips: to open the folding bed you have to slightly lift it form the floor. To close it in the correct way it is advisable not to keep the sofa directly against a wall.